Ready to create space and time for your positive mindset? We tend to think that our thoughts and our intentions are not important. That only what we do matters. This is WRONG. All that we are is the result of what we have thought: it is founded on our thoughts, it is made up of our thoughts. How many times have you heard that you need to work on your mindset? Yet, you don’t know how to start. You are drowning into the ocean of info available to you. Do you get caught up in negative self-talk? I was like you. It took me time and determination. Now, my mindset is positive and strong. My intentions are the best support system I’ve ever had. Through simple exercises, I will help you create your own and unique space to experience the power of your intentions. What my WHOLEHEARTED INTENTION program will bring you. 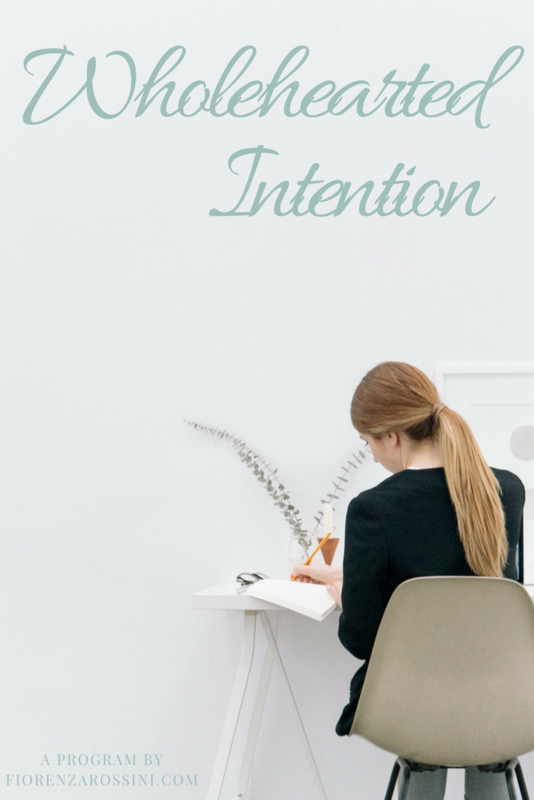 You will experience the power of your intentions and learn how to use your intentions to support you in your everyday life. Discover how many raw sources of satisfaction and fulfilment there are in your life. Embrace this shift in your vision. Practice gratitude and mindfulness. 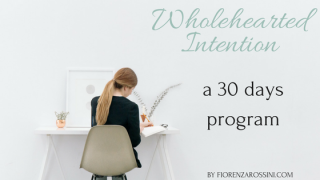 By following my Wholehearted Intention program for 30 days, you’ll practice mindfulness and gratitude daily. Are you ready to experience the power of your intentions? Are you ready to see some positive changes happening to your everyday life? Each exercise is different. Some will require to be more reflective than others. There’s no wrong or right way to do them. I recommend to set aside a quiet moment in your daily routine for your program. Use a notebook whenever possible to record your thoughts and let your mind wander more freely. You can get in touch with me for any question you may have throughout the duration of the program. Are you ready to experience the power of your intentions? Are you ready to see some positive changes happening to your everyday life? Due to the digital nature of this product, no refunds are possible.